Just like humans, buildings have good days and bad days. And much like an athlete on a strict exercise reime, we find that over time and with constant tuning and refinement informed by daily feedback, most buildings receive “good news” most days. To counter the de-motivation effect of constant praise, we’re able to determine a building’s “personal best” at every 15-minute interval under any combination of weather and operating conditions. These science-based targets give building operators something specific and credible to aim for. In most cases, we find the gap between a building’s “normal practice” and its “consistent best” practice is 10-20%. We maintain an extensive database capturing the physical attributes and control parameters of all energy/resource consuming systems within every building we work with (eg chiller types and staging, temperature setpoints, pump configurations …). Buildings might be on the other side of the world, but share some similar characteristics under similar operating conditions. Advanced statistical modelling allows us to identify “best practice” and “target” profiles for each building under any conditions and also diagnose gaps between observed and “best in class” target performance. correlating implemented initiatives (across all of Buildings Alive’s clients) with actual energy savings to calculate the effectiveness of each strategy. 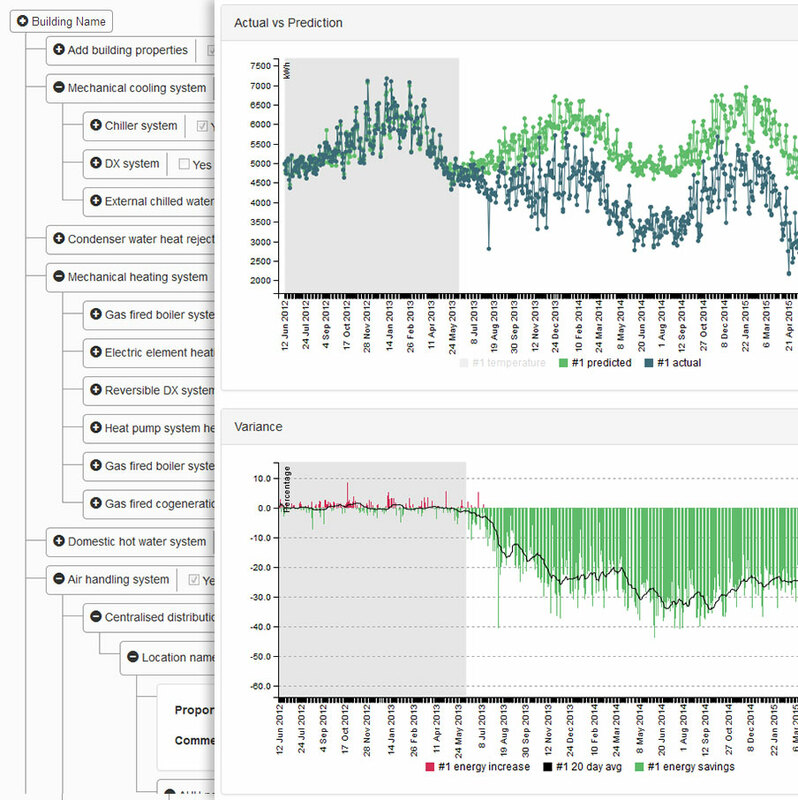 Our analytics tools can automatically measure and verify the energy savings from any change introduced to the operations of a building.